Keep your baby warm and snuggly with our new Winter Sleeping Bag. 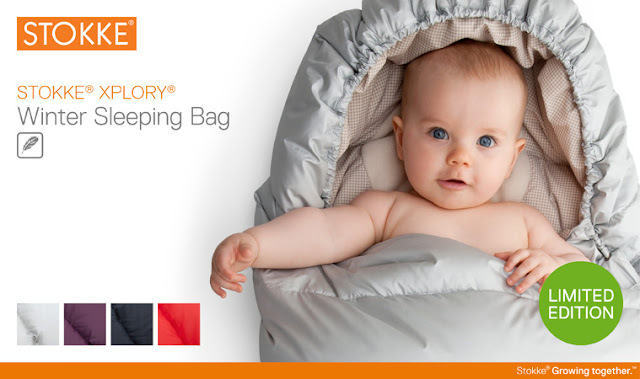 It can be used with any stroller or car seat not just the Xplory. Available in purple, dark navy, red and limited edition silver from Stokke retailers now. I have pictures of me in something almost identical when i was tiny 30+ years ago!